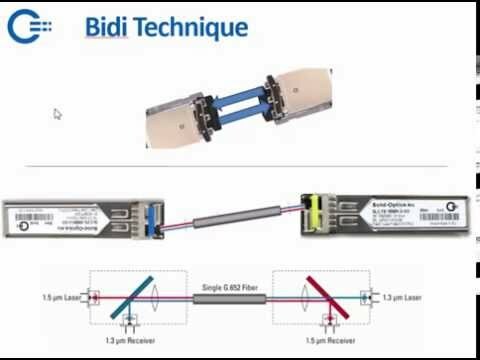 Bi-directional (BiDi) optics combine their transmit and receive functions so they can operate over a single strand of fiber. 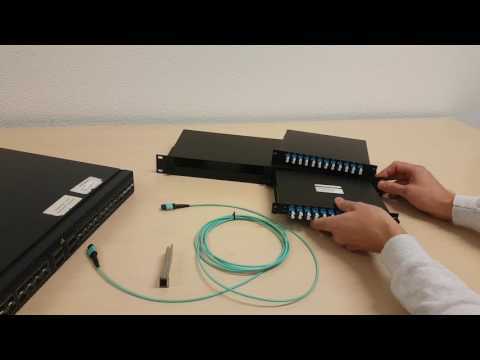 This allows you to double the amount of bandwidth using the same amount of fiber. BiDi's use a Fiber Bragg Grating to reflect the incoming wavelength into the receiver. A Fiber Bragg Grating reflects a specific wavelength and allows others to pass, which is why BiDi’s always come in pairs: U (uplink) and D (downlink) where the Tx wavelength and Rx wavelength are swapped. Just like 100Mbit BiDi’s, these optics are used mostly for Fttx to reduce the amount of fibers needed. As the CPE already has a BiDi built-in, only U or only D BiDis are used for Fttx. 1G BiDi’s usually use 1310nm and 1550nm as Tx and Rx. Solid Optics is able to deliver any custom wavelength required. Solid Optics BiDi’s are available for Multimode up to 300 meters as well for Single Mode up to 180 kilometers.